A concert for a good cause. Canada didn’t know what was coming when five Finger Death Punch and Papa Roach decided to co-headline one of the biggest arena rock tours of the year this September. With up-and-coming opening act, From Ashes To New, and special guest, Sixx:AM, this show was an absolute must see. The coolest thing about this month-long tour? Fans of the heavy metal acts played a big role in determining what cities the tour made stops in. 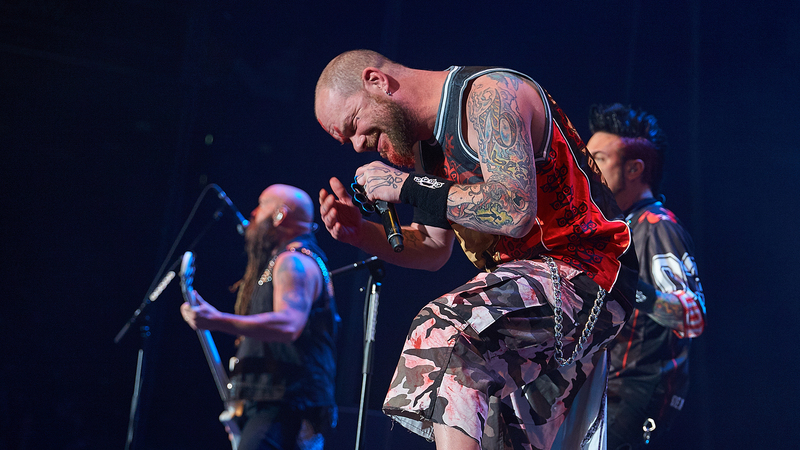 According to Five Finger Death Punch’s website, over 90,000 votes were cast on the band’s sites by Canadian fans. Cities lucky enough to be chosen included Edmonton, Winnipeg, Quebec City and Halifax. Another amazing aspect about this tour was that part of the ticket proceeds went to a great cause: If you bought a ticket to any of the 14 shows on the tour, one dollar went to the Canadian Red Cross for Disaster Relief Management. The organization helps with relief efforts when situations like house fires and weather disasters occur unexpectedly. Thankfully we got to catch the show in Oshawa, Ontario on September 23. Click through the photo gallery to get a glimpse of the tour, and follow all the artists on Bandsintown to see when they’ll be on the road again!